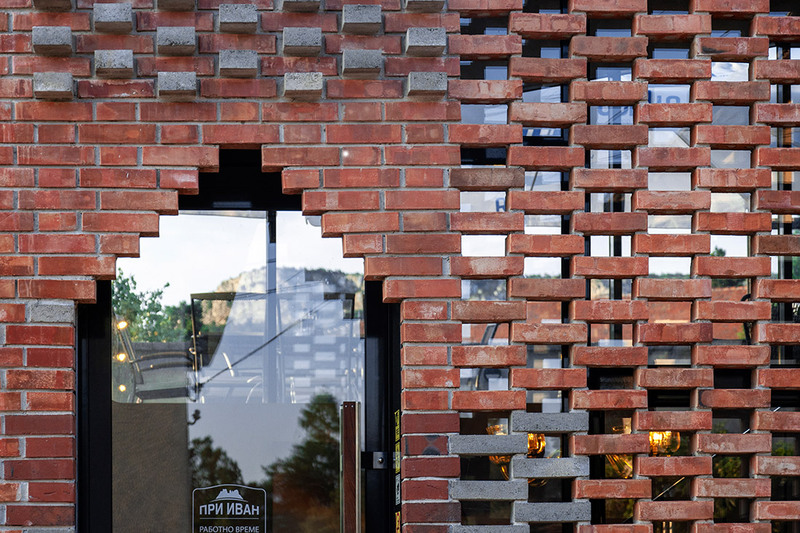 The project for a restaurant in Belogradchik is inspired by the natural attractions of the city. The themes of the rocks, context and cultural values in the region have left their mark on the project. 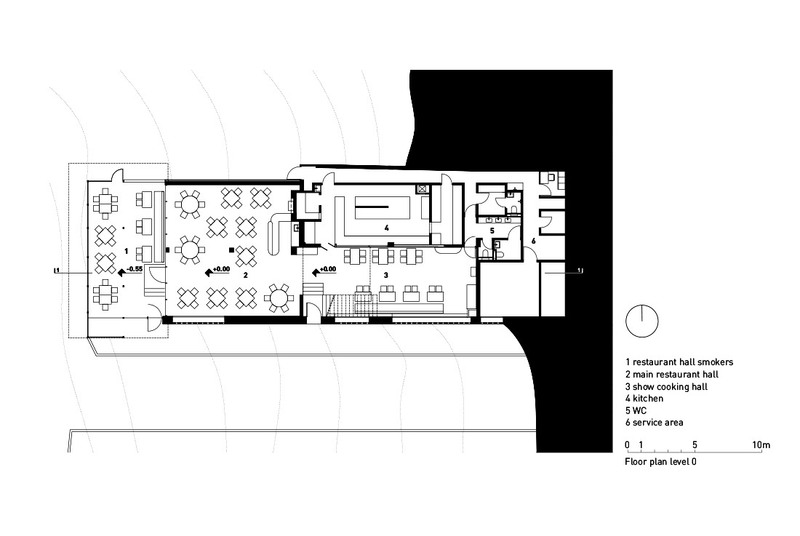 The project draws on a place recognizable as a small city restaurant with a long history. 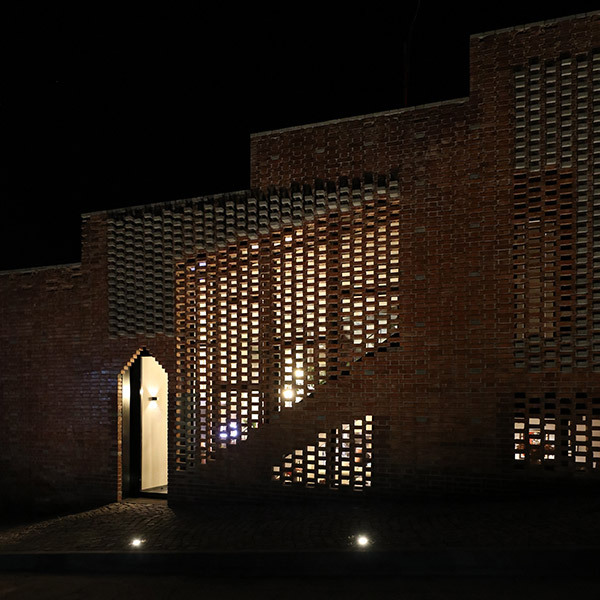 The new part of the restaurant facing south to the street is a brick lace creates natural sun protection of the spaces of the restaurant and more intimate atmosphere, stopping curious eyes of residents and passers. 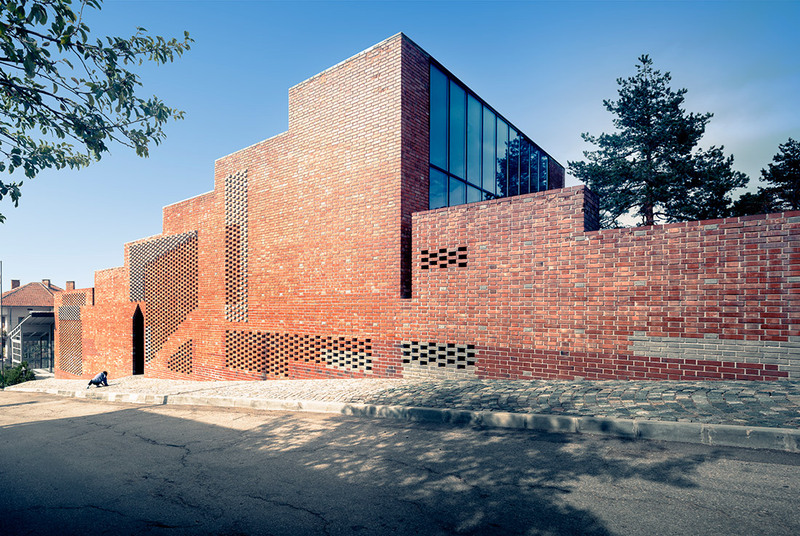 The brick facade is made emotionally and spontaneously, including masonry of various types and materials visible bricks, inspired by the nature and the uniqueness of the Belogradchik Rocks. Using the natural displacement of the terrain from east to west, the eastern part of the site is dug with a whole level, on the east facade is created direct access from the second level. 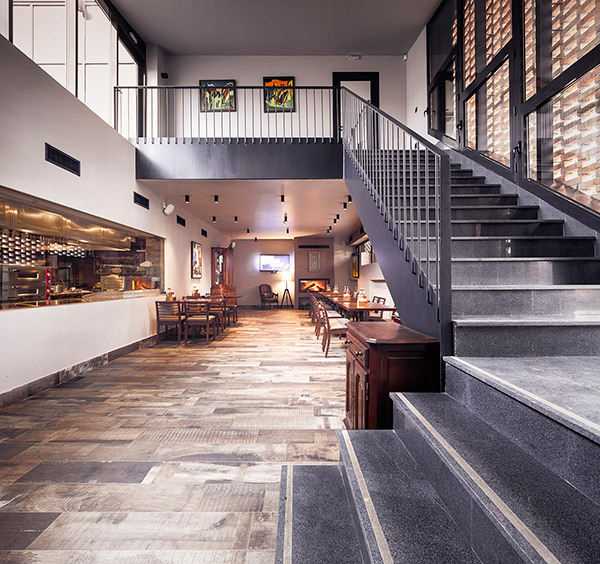 The authentic entrance of the restaurant from west is kept and from the south to the street is located the main entrance of the restaurant. 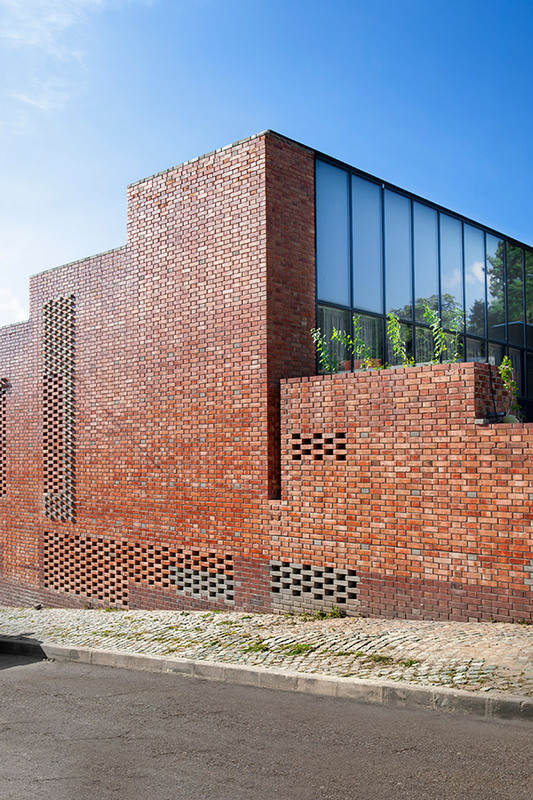 The whole length of the south side is decorative ventilated brick facade with a stepped form, which follows the slope and the characteristics of the terrain. In some places is designed as flowerpots with plants. 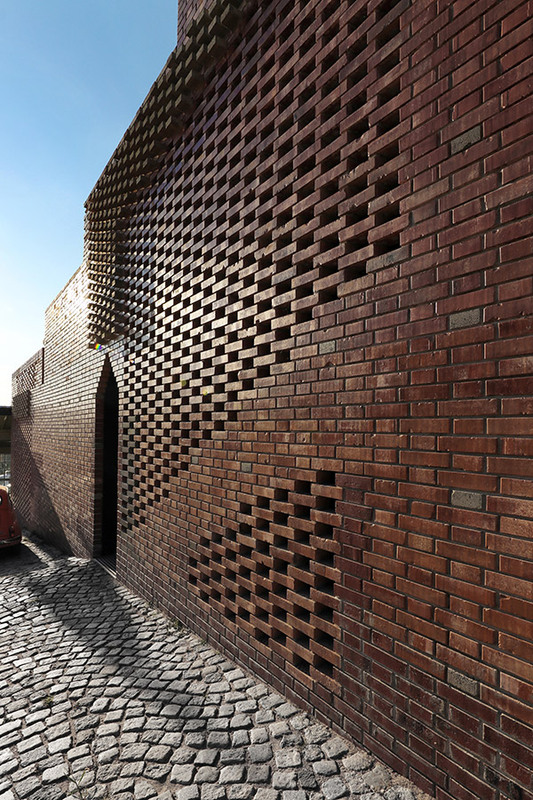 The regional context, the sense for place and belonging, colors, materials and functional interpretation of the program makes the project unique as one of a kind in the city.